Biography of Rabbi Moshe Shmuel Shapiro (1917-2006) and his relationship to the Rabbi Meir Baal Haneis charity in Israel. Rabbi Moshe Shmuel Shapiro was an famous Rosh Yeshiva and important rabbinical figure in Israel. He is a great-grandson of Rabbi Chaim of Volozhin. Rabbi Moshe Shmuel Shapiro was the son of Rabbi Aryeh Shapiro, was the Dayan of Bialystok, Poland and the son of Rabbi Refoel Shapiro (1837-1921) famed Rosh Yeshiva of Volozhin and author of Toras Refoel. Rabbi Refoel Shapiro was the son in law of Rabbi Naftali Zvi Yehuda Berlin of Volozhin (1816-1893) (known as the Netziv). Rabbi Moshe Shmuel Shapiroâ€™s mother was a descendant of Rabbi Yom Tov Lipman Heilpern the Rabbi of Bialystock (1816-1879) author of Oneg Yom Tov, and descendant of Rabbi Yom-Tov Lipmann Heller (the author of Tosfos Yom Tov). During World War One, the Shapiro family escaped from Poland to Minsk, Belarus where Rabbi Moshe Shmuel was born. After the war, the Shapiro family returned to Bialystok. In 1933, Rabbi Moshe Shmuel left home to study in the Yeshiva of Baranovich under Rabbi Elchonon Wasserman (1874- 1941) with whom he enjoyed a special relationship. Even after Rabbi Moshe Shmuel left Baranovich, he continued corresponding with Rabbi Wasserman. While in Baranovitch he also developed a very strong bond with Rabbi Dovid Rapaport (1890-1941), author of Mikdash Dovid. In 1936, Rabbi Moshe Shmuel went to study in the famed yeshiva in Mir. He immediately gained recognition as an upcoming leader of the Torah Jewry by the spiritual leader of the Mir Yeshiva Rabbi Yeruchim Levovitz (1873-1936). In 1937 Rabbi Moshe Shmuel reached the age for army service and took every possible avenue in order to evade being drafted. When every attempt failed he was left with no choice but to flee Polish soil Poland to avoid army conscription and travelled to Israel. 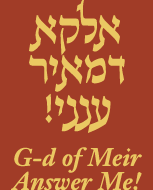 He was granted semicha by Rabbi Isser Zalman Meltzer (1870-1953). In Israel, Rabbi Moshe Shmuel attended Yeshivas Lomzha in Petah Tikva where he delivered lectures in the Talmud and was already looked upon as a one of the upcoming great leaders. When Rabbi Moshe Shmuel's first cousin, Rabbi Yitzchok Halevi Soloveichik the Rabbi of Brisk moved to Jerusalem, Rabbi Moshe Shmuel developed a strong bond with him and helped publicize the Brisker method of study. Rabbi Moshe Shmuel was the main editor of the works of the Brisker Rov on Kodoshim. During this period he also became very close to Rabbi Avrohom Yeshaya Karelitz, the Chazon Ish, who would stand up in his honor and accompany him out when he left. In 1946 after his marriage to the daughter of Rabbi Aharon Weinstein, Rosh Yeshivas Beis Yosef in Mezritch, Rav Moshe Shmuel spent a year learning in the Kollel Chazon Ish. He was then invited to deliver Talmudic lectures in Yeshivas Kol Torah in Jerusalem, where he served for three years. At the behest of the Chazon Ish, Rabbi Moshe Shmuel joined with Rabbi Shlomo Wolbe (1914-2005) in establishing Yeshivas Be'er Yaakov. In 1968, upon the requests of leading Rabbinical sages in Israel including Rabbi Yisrael Alter, the Gerer Rebbe and Rabbi Yechezkel Sarna, Rabbi Moshe Shmuel became involved in communal affairs and joined the Presidium of Moetzes Gedolei HaTorah. In 1963 Rabbi Moshe Shmuel published the first volume of his Talmudic discourses, and until his death in 2006 many Talmudic works were published which are studied in the Lithuanian style Yeshivohs. Rabbi Moshe Shmuel Shapiro had tremendous concern for families in Israel and the Rabbi Meir Baal Haneis Salant charity fund. Rabbi Shapiro is a signatory on the historic 1979 Kol Koreh (broadside) on behalf of Rabbi Meir Baal Haneis Salant, together with such Torah giants as Rabbi Moshe Feinstein, Rabbi Yaakov Kamenetsky, Rabbi Yaakov Yisroel Kanievsky The "Steipler", Rabbi Shloma Zalman Auerbach, Rabbi Elazar Simcha Wasserman, Rabbi Dovid Povarsky, Rabbi Yechiel Michel Feinstein, Rabbi Shmuel Birnbaum, and many, many others. May their memory be a blessing to all.